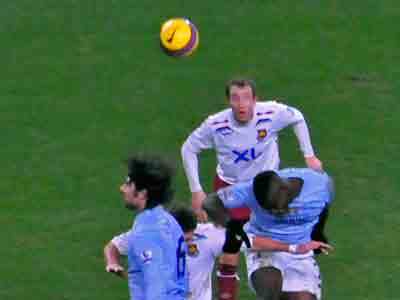 City managed to scrape a point from this average game and West Ham will wonder why they left with only one point. 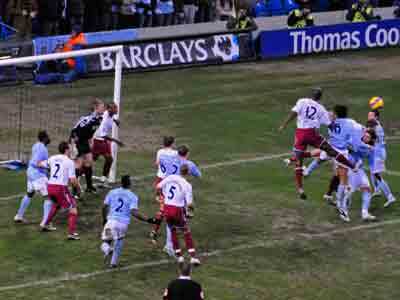 But for some saves by Joe Hart they would have inflicted the first defeat for City at home in the league. 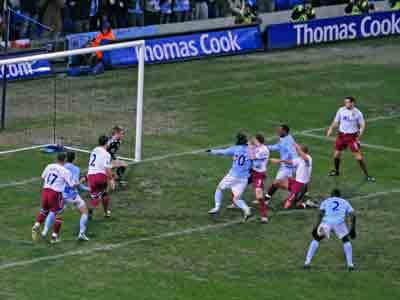 There were doubts about City's equalizing goal too. The great active or inactive offside question raising its ugly head. 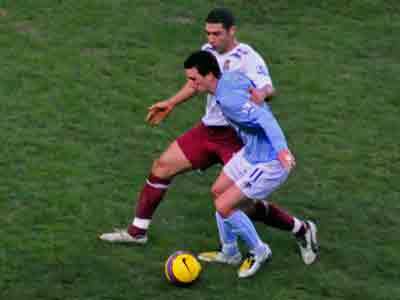 Since City have suffered twice from this stupid law recently it was about time we gained from it! The one big worry is the decline in form of Elano who showed only the odd glimpse of his early season form. Though Vassell and Bianchi tried their best the lack of a proven striker must worry Sven and hasten the clubs efforts to add to the playing staff during the January transfer window. 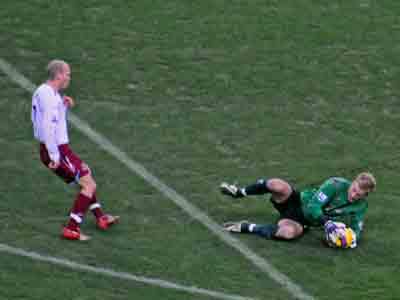 The visitors tightened up their defence to curb the efforts of Petrov who had a quieter game. The lack of cutting edge in the last third is worrying. 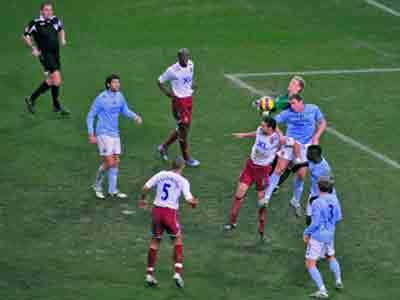 One good point from the game was the form of Joe Hart who is now definately number 1. 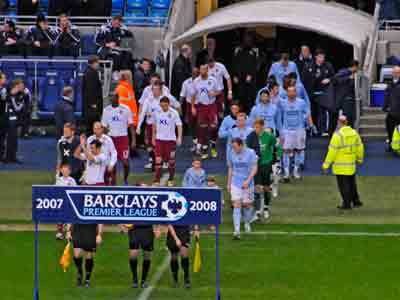 Bianchi made a rare start in place of the injured Castillo and West Ham were without Ashton and Etherington. 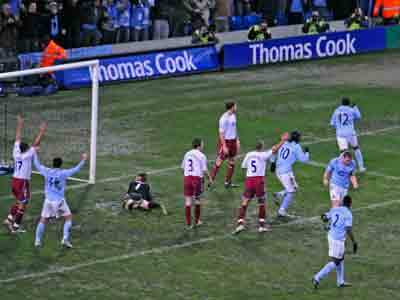 After 7 minutes there was an early disaster for City. 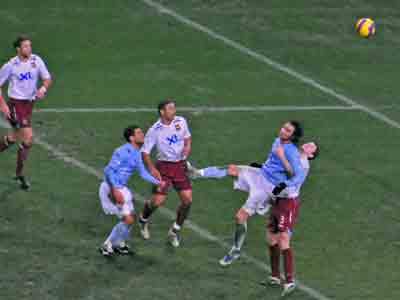 Richard Dunne made a rare error giving the ball away to Ljungberg who centered for Cole to score with a spectacular overhead kick. 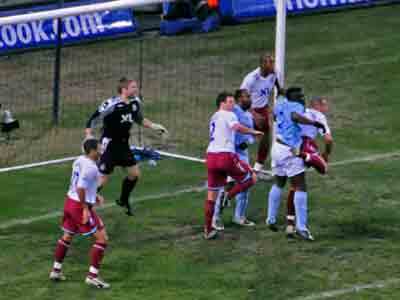 ....... but with Bianchi being held by McCartney it was left to Vassell to slot the ball home from close range. 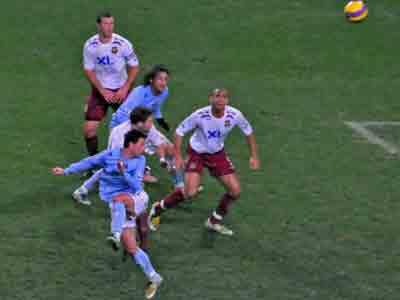 Though replays suggested that Vassell had been in an offside position when Petrov played the ball in it looked like the ball came off a defender in the scramble that followed the cross the goal stood and City were level. 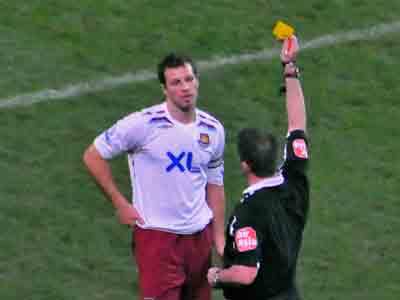 Lucas Neill decides that Petrov was becoming too much of a danger so he took him out and deserved the yellow card brandished by referee Dowd. For once Bianchi is not being held ! 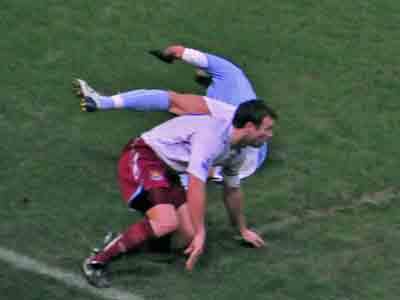 Is Cole trying to pick Hamann's back pocket?